Providing you the best range of multi product distillation system, distillery process plant and fermentation system with effective & timely delivery. We have gained immense recognition in this domain for creatively manufacturing, exporting and supplying Multi Product Distillation Systems. These are well designed with advanced efficaciously multiple distillation column systems. It is operated at lower energy consumption but provides a higher yield. With the support of our proficient workforce, we are regarded as one of the most prominent manufacturers and suppliers of Distillery Process Plant. 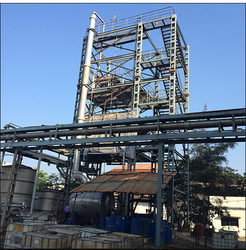 This plant is used for fermentation, distillation, and evaporation with unique zero liquid discharge guarantee. Our offered Fermentation System is easy to operate on both, continuous as well as synchronized mode of operation, as per the requirement of feed. 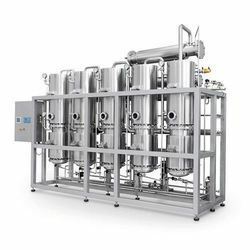 This system is widely used to produce fermentation and propagation of yeast, which in turns produces alcohol in a bulk quantity. 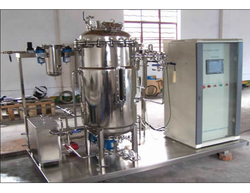 Sturdily constructed, this system is extensively used in various liquor, pharmaceutical and other allied industries. We offer fully integrated system, which is specially designed to run elevated throughout experimentation and reactions that are conducted at increased temperatures and very high pressures. In addition, the offered system is engineered using best available technologies to ensure better functionality and high efficiency. Looking for Distillery Plants ?